The home on Eastridge Loop where a family was involved in a SWAT standoff on March 28. 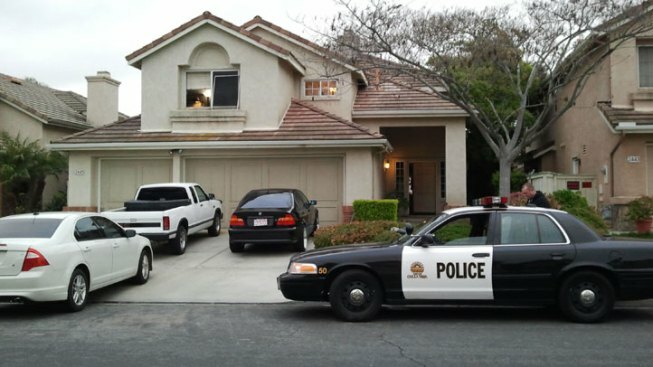 A man broke into his former Eastlake home and threatened his own sons with a knife according to Chula Vista police. Officers said it started around 9 p.m. Sunday with the report of a man using a baseball bat to break a window and force his way into a home near East Ridge Loop and Greensview Drive. Three people were inside the home including the suspect’s two sons - 17 and 20 years old - and a brother-in-law, officers said. Once inside, the man grabbed a knife and threatened the residents Chula Vista police said. Those inside got out safely but the suspect stayed in the home, refusing to come out for hours. Officers evacuated homes to the north and south of the standoff, near the Eastlake Country Club. Officers used flash bangs and brought in negotiators. Just before 6 a.m., officers said they had the man in custody. He’s been identified as 48-year-old Omar Acosta. Officers said Acosta used to live in the home with his ex-wife.